Raymarine A-Series chartplotters and chartplotter fishfinder combos are available in a number of combinations covering two model generations. The A60 and A65 were the first pair of chartplotter fishfinders introduced in the A-Series lineup. Both were some of the first units packaged to sell with cartography onboard. These highly regarded units shipped with Navionics Silver chart cards. 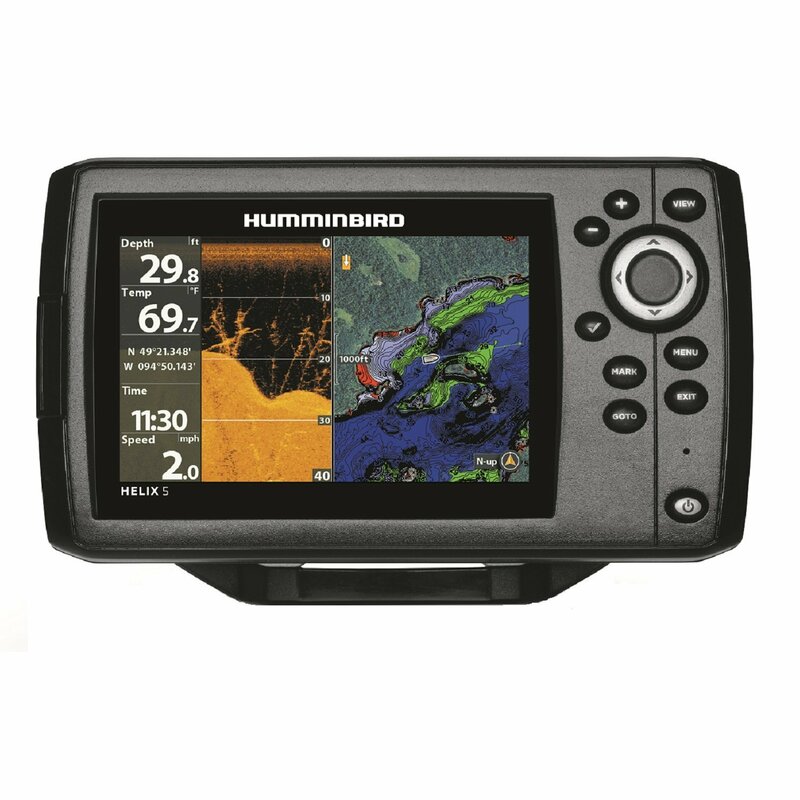 The Raymarine A60 uses a 5.7-inch display screen and can be purchased as a standalone plotter or as a chartplotter fishfinder package. Big brother to the smaller screen A60 is the Raymarine A65 which uses a slightly larger 6.5-inch screen with much higher resolution than its sibling. Again it can be bought standalone or as a chartplotter fishfinder package. Both the A60 and A65 couple to the Raymarine DSM25 black box sounder to give the unit sounder capability. Raymarine is offering large cash rebates. See the individual review pages for details. The newest Raymarine A-series lineup has three different chartplotter models with various screen sizes that can be ordered as standalone chartplotters or specified as a chartplotter fishfinder by adding an internal sounder. The Raymarine A50D is the smallest screen version yet still features a 256-color 5-inch LCD display with 640 by 480 pixel resolution. When equipped with an internal 500-watt sounder this unit becomes the Raymarine A50D chartplotter fishfinder. The mid-level unit in the line is the Raymarine A57 which is equipped with a 5.7-inch display. Again, adding fishfinder capability makes this the Raymarine A57D combo unit. The biggest screen in the A-Series lineup, at 6.4-inches, is fitted to the top-of-the-line Raymarine A70, when this one is outfitted with fishfinder capabilities it becomes the Raymarine A70D model. All A-series next generation units feature an internal GPS sensor and the ability to use an external GPS unit if desired. They also have two high speed data ports and can be ordered with or without onboard cartography.